Natural wines: what are they, exactly? Spent a good portion of today at the Real Wine tasting convened by UK importer (of mainly natural wines) Les Caves de Pyrene. Rarely have I spent a day tasting such thrilling, diverse, intellectually challenging and soul-seducing bottles. But what exactly are natural wines? There’s no strict definition, and I’m not sure we should introduce one, or assent to have one imposed on us. You just know one when you see one. It’s as much about producer intent as anything. Natural wines tend to be made by growers who farm their vineyards as sympathetically to nature as possible. Many are biodynamic or organic, but not all. In the winery, they work as naturally as possible, adding as little and doing as few physical manipulations as are consistent with preserving the qualities that their terroirs have given them. Some use no sulfur dioxide at all, and thus add nothing to the wine. Others use none until bottling. Many will use indigenous fermentations, but this is a complex subject (after all, cultured yeasts are isolated from nature). Do you want to capture your terroir’s qualities? If so, then sometimes intervention in the winery is needed. That’s why I think a strict definition of natural wine is a retrograde step. In one sense, all wines are natural. Yet there is also a continuum of naturalness, ranging from the most industrial of wines towards the most extreme of natural wines. Generally, the world’s most interesting wines are made by winegrowers looking to work more naturally. That’s a personal opinion, of course, but natural wines move, entice, seduce and inspire me in ways that winemaker wines, for all their hedonic qualities, power and excess simply don’t. There’s life in the natural wine movement. Attempts to codify, define and legislate could choke the life out of it. We need to live with the tension and uncertainty that not having definitions brings. You just know a natural wine when you see one, and usually the sorts of people making them are aligned together. 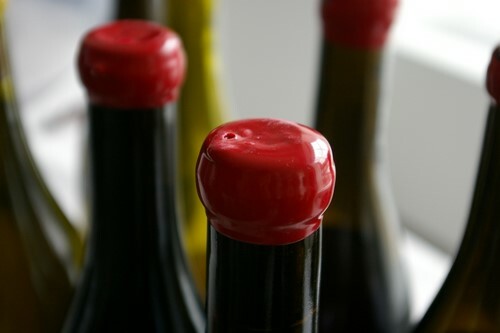 25 comments to Natural wines: what are they, exactly? brilliant comment, really well written. I agree with your closing comment, we need edgy wines and it’s up to others to educate our customers. Jamie, I like your general feelings about this, but I have one disagreement: Cultured yeast may have been cultured from nature, at one point, but then they are someone else’s yeasts, not yours. They are not the yeasts native to your vineyard, cellar and vintage. So I don’t see how using someone else’s terroir is natural. I agree that these wines can be most thrilling and invigorating, but there are misses as well as hits and I do slightly worry about the ageworthiness of these wines (not that I’ve tried any old ones, but just that much of the stuff they eschew is aimed at prolonging the life of wine). Anyone here tried anything with serious age? about the ageing…… most people assume that so2 is the sole requirement for ageing capability, its much more complex than that. Sulphur obviously plays its role, and it occurs naturally as a ferment by-product in sufficient levels to provide some protection. However whether free (from just 25ppm!) or bound, sulphur will reduce flavour and aroma in the wine: the less added the better. ageing potential has far more to do with raw materials and the preservation of these factors which the natural approach does more to preserve. Natural wines tend to have a lower pH = more protection. avoiding micro-ox / organoleptic tricks etc. preserve tannin = more ageing potential. A slower winemaking process / more reductive approach = more stability and protection from oxidation. No fining, no filtration = again both organoleptic, time-thievery devices – the wine will get there of its own accord. When the fruit is of the best possible quality then this approach can ensure intact and resonant wines that have the ability to age beyond their manufactured counterparts (I doubt the ageing potential of these lauded 15% 09 BDXs compared to those of yesteryear!!). There are however occasional howlers, I think this natural approach takes years to get the hang of as a winemaker and is much more about acclimatising to the terroir and environment in which you work. It can’t be taught and it certainly can’t be flown around the world a la michel rolland! as I wine lover I don’t care for homogeneity or consistency just truthful thrilling wines. It is questionable if the label “natural wine” serves any purpose at all. It can mean virtually anything so what information does it actually give. Perhaps it’s better to stick to denominations that really have a definable meaning? Or explain what one means. A problem with ‘natural wine’ being loosely defined is that it will get used and abused by marketing people – doesn’t Blossom Hill sound like a lovely (natural) place to be? Names and advertising in general are never used to conjur up images of a huge-scale wineries producing thousands of bottles an hour after all. And do people in general really know a natural wine when they see one? Could many of us be rather surprised by technical specifications? Last year I tried one or two older wines from Barranco Oscuro in Granada province, and they certainly appeared to be ageing fine to me. I agree with Jamie about the label. Even if you don’t define it exactly, it still means something to people, and so is still useful. It is a broad church, certainly, but I think the “natural wines” I have tried at least do show a distinct identity and the term does mean something to me. Yes, I agree that adding yet another legal definition is not going to help matters. IMHO, there’s already enough confusion in the minds of consumers (and producers, including me!) with ‘organic’, ‘biodynamic’, etc. I think that for the natural wine loving public, the risk of buying a bad bottle is acceptable, ie you try it, dislike it, talk about it, and never buy it again; in the same way, if you find a good one that you like, you’ll talk about it and buy it again. In any case an official seal on the label isn’t going to guarantee that the wine is good, or that you’ll like it. Also, a bit of ‘due diligence’ wouldn’t go amiss, ie check out the producer’s webpage, search on Google, etc and you should be able to tell where on the scale of naturalness the producer is at. Similarly, we producers should make an effort to to be findable, and give as much information as possible on our wines, agricultural practices, wine-making, philosphy, etc, so that the consumer can decide. I think “Natural Wines” is one of those terms open to a bit of abuse. There are a lot of winemakers who try to produce the best wines they can with minimum intervention, especially additives that could have been avoided by better vineyard management, harvesting and winemaking decisions as well as using short-cuts to get the wine to market ASAP. Once you coin a term and start putting rules and definitions around it, it becomes very exclusive (i.e. not in our gang) and also a nice marketing bandwagon for, in this case, incompetent winemakers to jump on. Like Organic, Biodynamic, Sustainable and so on, the best Natural winemakers are going to be the ones who don’t have it tattoed on their forearms. Actually, wine is very much a thing of artifice. Mark – how old is “older”? 5 or 6 years, Alex. There simply isn’t anything much older than that! A very interesting discussion. I agree that some sort of formal definition and authorisation is not really required. I’d certainly like to try some of these wines, but they are hard to buy in smaller towns. However if you live in a winemaking region, pretty much everyone’s uncle or sister-in-law has got some “natural” wine that they knocked-up in their shed, so you can try as much as you like, as long as you don’t mind occasional fizz, cloudiness, VA, residual sweetness etc. Given that this is a site that attracts wine-lovers I wonder what % of readers would happily drink, say, 20% natural wines, given that a decent chunk of these may be a bit weird/funky/oxidised/different? Do people just talk them up, like some sort of Holy Grail, but then actually drink “normal” wines? As a winemaker I think natural wines are an exciting development. Yet at the same time I think that the relatively recent development of techniques such as use of oak chips is a fairly painless way to give a lot of people more pleasurable wine at a fair price. Oak is after all a natural product. So for natural wines would it be ok to use oak chips if the oak came from the same region / vineyard as the grapes? If not, why not? Purity is not everything, pizzas can contain olives and anchovies and be delicious. Pretty much every winemaker I know wants to do “minimal intervention”. Yet if it rains a lot one year what do you do? Treat the vineyard with some “natural” or “unnatural” product or happily use rotten grapes – because they were a true expression of the year and the place? How far does it go? Most people would agree that lots of chemicals is a bad idea and I don’t like the idea of things like added tannins or centrifuges in the process, yet the vast majority of people would happily drink wines made in this way. I think going forward for larger companies I would like to see a two pronged approach. “Lower intervention” safe winemaking for commercial wines and smaller-scale experimental forays into the natural realm to see what does and doesn’t work in each place – perhaps under a different label. Ultimately though I don’t see a mass-market future for wines that are made from “just grapes”. Some very interesting and useful comments here. Personally, I wouldn’t age natural wines. But it’s surprising how well some of them hold up – shows that we don’t know all that much about wine ageing. In theory, they should die quite quickly. Where does reality end, and our perceptions, our philosophies, begin. The term “natural wines” was coined, as in market economy we need to tag everything to give it an unique selling point. Perhaps some requirement to indicate winemaking techniques on the back label would help the customers and we will not have to call them natural. As far as ageing natural wines, I’ve had a few of them. I’ve had 95 and 95 Domaine Chamonard Morgons, and am currently working my way through a magnum of 02 Domaine du Moulin Cour Cheverny. Both the morgons I had open for 4-5 days and they were phenomenal. On the first day they were similar to a younger Cru natural Bojo, lots of fruit, with just a bunch of classic leathery type aged aromas and flavors on top. But on the 3rd and 4th days, they changed completely, into something that I could only compare to really fine aged burgundy. I believe both those wines had another 10 years or more left in them, no problem. And the cour cheverny is doing just as well. It’s been open 5 days now, and is still showing no signs of volatile acidity. Caramely notes have started to develop. Totally unbelievable wine, and could also probably age quite a bit more. I always learned in WSET class that tannin had to be present for a wine to age gracefully. None of these wines have much tannin to speak of. My thinking now, is that wines that very well made with an integrated balance of acidity, can age very well. It’s a shame that more of these older vintages of natural wines aren’t lying around. I think part of the problem is most of the producers are very small, so they either drink or sell most of every vintage. And there certainly isn’t much of an incentive for them to maintain a library, because there’s no market for these older wines, and no guarantee they could sell for any more than when they were young. It’s a shame, really. therory and practial stuff are mostly two different things. Well made handcrafted natural wines can age very very well. Going back to historical times surely “Natural Wines” would just be “Wines”. I am very interested in the development of this movement for returning to a more traditional way of making Wine as the modern ones gurantee me a headache!